In AQZ v ARA, the Singapore High Court dismissed an application to set aside an arbitral award rendered under SIAC’s new Expedited Procedure. The underlying dispute arose under a sale and purchase agreement for Indonesian non-coking coal. An agreement was made in December 2009 for the sale of about 50,000 metric tonnes of coal, to be shipped in January 2010. The Buyer further claimed that the negotiations also gave rise to a second contract, for a similar quantity of coal to be shipped in January 2010. The Seller denied that the second contract ever came into existence and did not make any further shipments of coal. The Buyer commenced SIAC arbitration on 20 March 2013 and applied for the arbitration to be conducted under SIAC’s Expedited Procedure pursuant to rule 5 of the SIAC Rules 2010. The Expedited Procedure is available for disputes where the aggregate amount in dispute does not exceed S$5,000,000, or where the parties so agree or the case is one of exceptional urgency. The Expedited Procedure also provides for specialised procedural rules, requiring the arbitration to be concluded and an award rendered within six months from the date of commencement. Additionally, the case is referred to a sole arbitrator. The second contract did not exist or was not legally binding. Therefore there was no agreement to refer disputes arising under the alleged second Contract to arbitration. The Expedited Procedure was inapplicable to the dispute in any event as it had not been provided for or contemplated under the terms of the alleged second Contract. The terms of the alleged second Contract contemplated that disputes be settled before three arbitrators and not one. Nevertheless, the Seller agreed to participate in the expedited arbitration and jointly nominated a sole arbitrator whilst reserving its rights to subsequently challenge the jurisdiction of the tribunal. The sole arbitrator found that the Buyer and Seller entered into an enforceable verbal agreement, not “subject to contract” and parties had acted as if a valid second contract was in place even though no written agreement had been signed. The arbitrator consequently held that the tribunal had jurisdiction to determine the dispute and found against the Seller. The tribunal did not have the jurisdiction to determine the dispute, there not having been a valid or enforceable arbitration agreement. The constitution of the tribunal and the arbitral procedure were not in accordance with the agreement of the Buyer and Seller. The Seller argued that the arbitration agreement was, in the absence of a formal agreement, unenforceable for being a verbal agreement. Hearing the application, Justice Prakash agreed with the Buyer that the arbitration agreement complied with section 2A(4) of the International Arbitration Agreement (a new provision introduced by the 2012 Amendment Act). The arbitration agreement would be enforceable so long as one party to the agreement records it in writing following a verbal agreement. 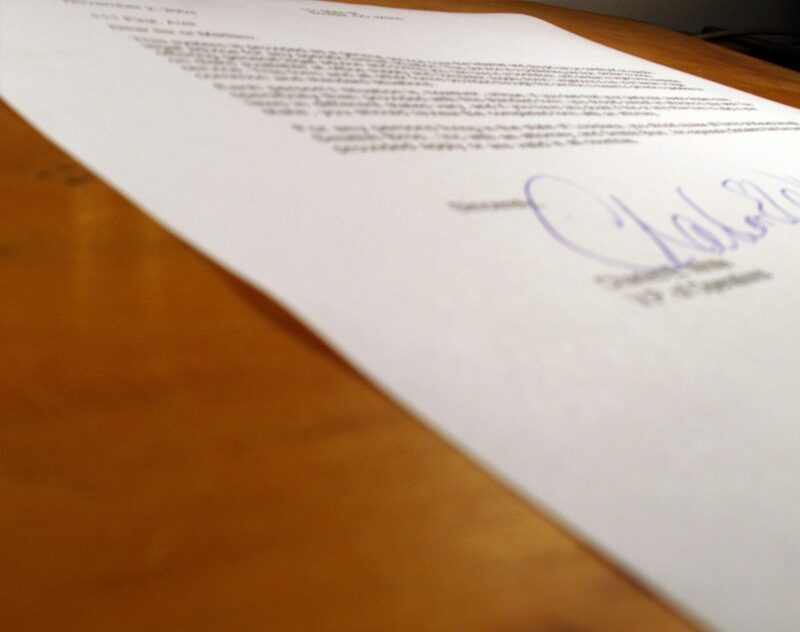 The draft second contract therefore satisfied the requirement that the arbitration agreement be recorded in writing. In the event there was a valid arbitration agreement, the Seller also argued that SIAC’s Expedited Procedure was not in accordance with the arbitration agreement as it was not contemplated by the said agreement. This was because the SIAC Rules prevailing at the time of the second contract (and when the dispute arose) was the SIAC Rules 2007. The Expedited Procedure was only introduced under the SIAC Rules 2010. Justice Prakash noted a legal presumption that the reference to the procedural rules of any arbitral institution referred to the procedural rules prevailing at the date of commencement of the arbitration and not at the time of the arbitration agreement or the dispute arising. As procedural rules are relevant to the efficient disposal of disputes and therefore need to be up-to-date with happenings in the industry, the legal presumption was held to be fairly strong. Justice Prakash also explained that clear words would be necessary to oust this presumption, such as expressly naming a particular set of rules (e.g. “SIAC Rules 2007”) or identifying the rules by stating the relevant time of reference. Justice Prakash also compared the SIAC Rules 2010 pertaining to the Expedited Procedure to the ICC Rules 2012 relating to Emergency Arbitrators. That the latter rules are expressly inapplicable to disputes governed by arbitration agreements entered into prior to the coming into force of the ICC Rules 2012 fortified Her Honour’s finding that the Expedited Procedure under the SIAC Rules (which did not have a similar provision) applied to the arbitration between the Buyer and Seller. The Seller also argued that the arbitral award ought to have been set aside on the ground that the tribunal was not constituted in accordance with the terms of the arbitration agreement which called for the nomination of three arbitrators. Justice Prakash held that “express assent” was not necessary for the Expedited Procedure provision to override the parties’ agreement as to the constitution of the tribunal. The terms of the arbitration agreement could be overridden by the rules of arbitral institutions which were incorporated by reference. Her Honour further held that the commercial sensible approach was to recognise the SIAC President’s discretion to appoint a sole arbitrator under the Expedited Procedure. Otherwise, simple or exceptionally urgent disputes could never be resolved by one arbitrator in the interest of costs and time savings. Finally, Justice Prakash also held that the Seller had not discharged its burden of establishing the materiality of the SIAC President’s decision to appoint a sole arbitrator in this case or that the Seller suffered prejudice as a result. While not strictly a requirement for setting aside an arbitral award, Justice Prakash explained that the curial court will consider whether the breach in question was serious before deciding whether to exercise its discretion to set aside the award. In view of the extremely short timelines contemplated under the Expedited Procedure, Justice Prakash’s decision is imminently sensible. Insisting on a three member tribunal would in almost all cases make compliance with the six-month deadline impossible. The decision of AQZ v ARA reflects the approach of the Singapore Courts to address commercial realities while preserving party autonomy in arbitral proceedings. The High Court’s position as a supervisory court will enable arbitral institutions to react quickly and according to the best interests of the parties in the event of disputes in need of urgent resolution. Justice Prakash also raised the possibility that the SIAC President’s decision for the arbitration to be conducted under the Expedited Procedure might be sufficient basis to set aside an award, if the SIAC President failed to take either or both parties’ views into consideration as required by rule 5.2 of the SIAC Rules 2010. The Court will also likely require the applicant to show that it has suffered prejudice as a result of the SIAC President’s decision. Rodyk & Davidson LLP acted for the Buyer in the AQZ v ARA.